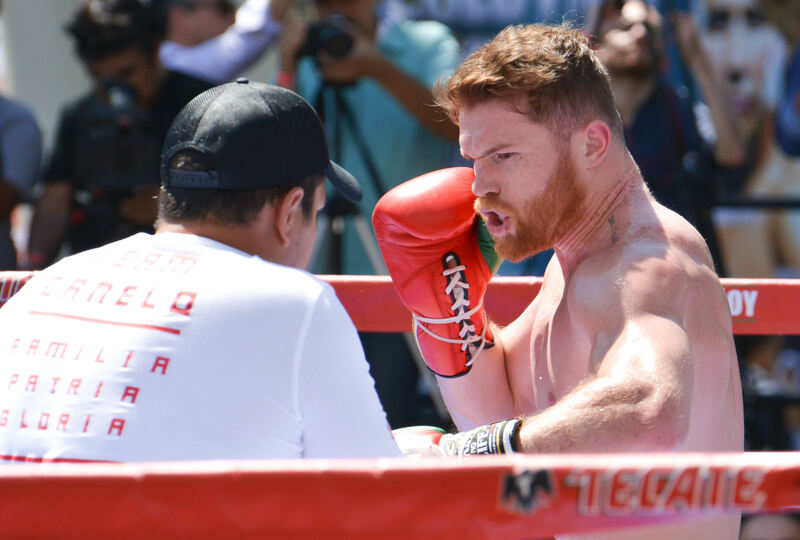 Former world champion and current media personality Barry McGuigan has called for Saul “Canelo” Alvarez 49-1-2 (34) to be banned for life after testing positive to clenbuteral in two drug tests conducted in February this year. The positive test results resulted in the cancellation of the May 5 rematch between the 27-year-old Mexican superstar and unified middleweight champion Gennady Golovkin 37-0-1 (33) that was scheduled to take place at the T-Mobile Arena in Las Vegas, Nevada on Cinco De Mayo. Alvarez will appear before the Nevada State Athletic commission (NSAC) on Wednesday to explain his test results. “My own view is that any fighter testing positive for substances of this kind, in this case Clenbuterol, should be banned for life. “We are not talking cycling or athletics here. In boxing, augmented physical ­performance can be fatal. Someone could be killed by the enhanced power of an opponent. “Alvarez has denied ­responsibility. He says he ate contaminated meat, an excuse used before in his native Mexico. I take my hat off to the ­Commission for waving off that explanation and imposing a temporary suspension. “That should harden after the hearing. The usual ­punishment is a ban of ­between nine months to two years. One year is standard, reducing to six months with good behaviour. Alvarez has stood firm that the test results came back positive due to eating contaminated meat. On April 3 he bit the bullet and withdrew from the rematch, but still needs to front NSAC to determine his punishment.